With the exception of the first year of my life, I have always lived where I could see and smell the ocean. The view out my dining room window. Because I live on an island, the ocean is a vital part of my existence. 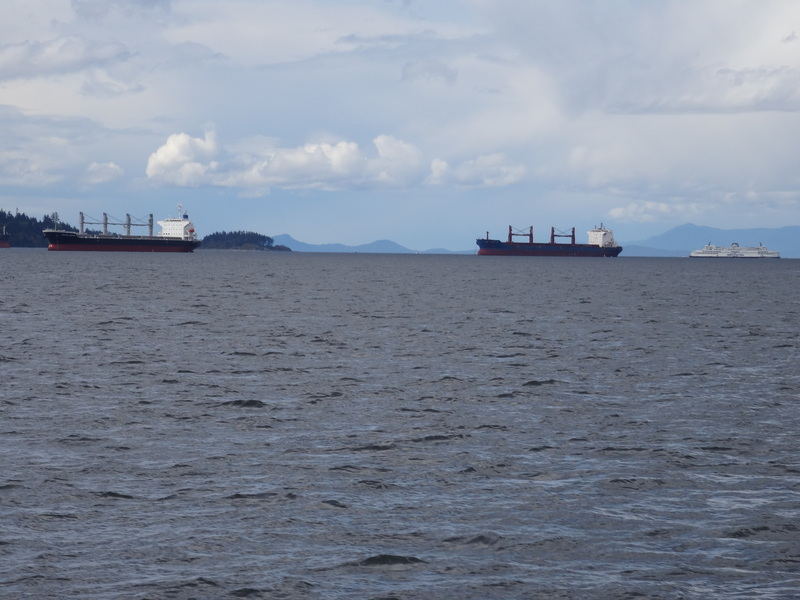 In order to get anywhere other than where I live which is on Vancouver Island, I have to travel over water but the coastal waters of the Pacific ocean mean much more to me than a barrier to parts unknown. It is a way of life. I grew up swimming, sailing, and fishing these waters. I have explored the smaller coastal islands and embrace the casual island lifestyle. 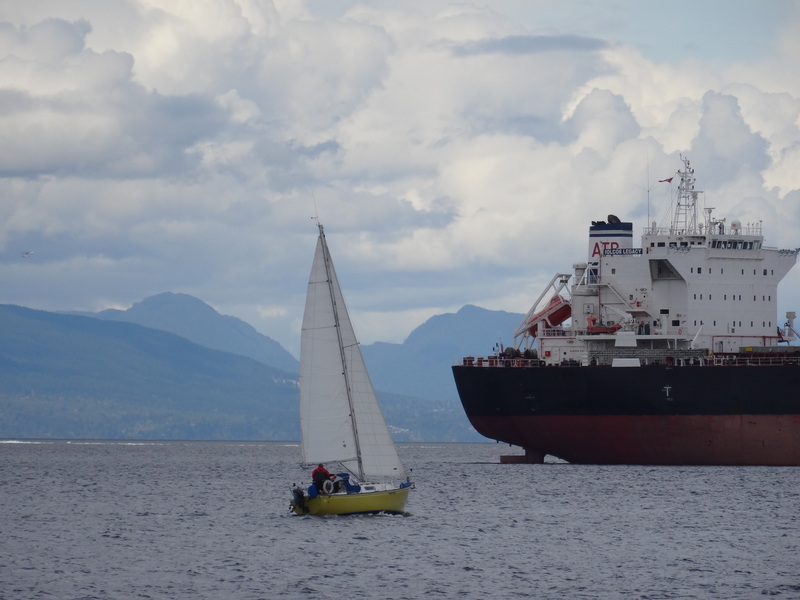 People from all over Canada come to Vancouver Island to visit and retire here because our climate is the most temperate of the whole country. The spectacular scenery never gets old. I was reminded of my blessings again today as my husband and I ventured to Gabriola Island, a smaller island about 20 minutes by ferry from my home city of Nanaimo, population of approximately one hundred thousand people. Below, is a view of the waters around my home. 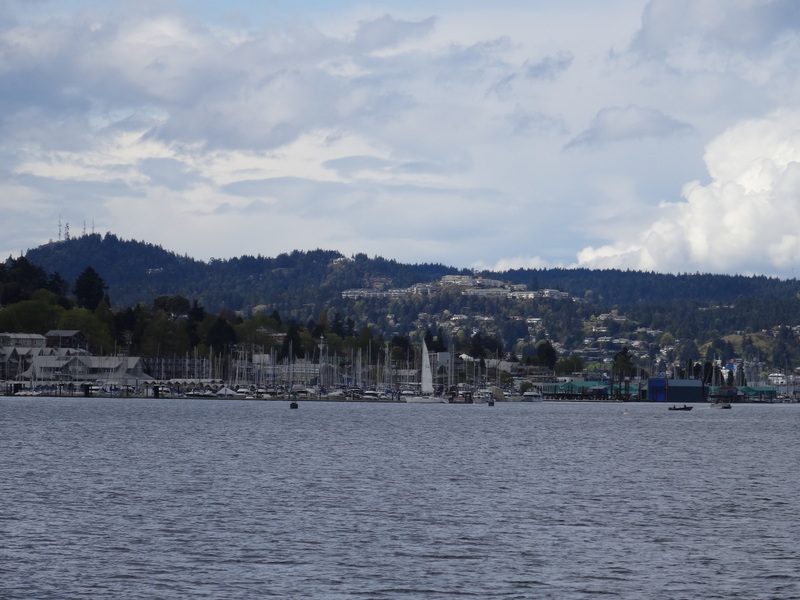 Views of Nanaimo Harbour. Mount Benson is in the background. 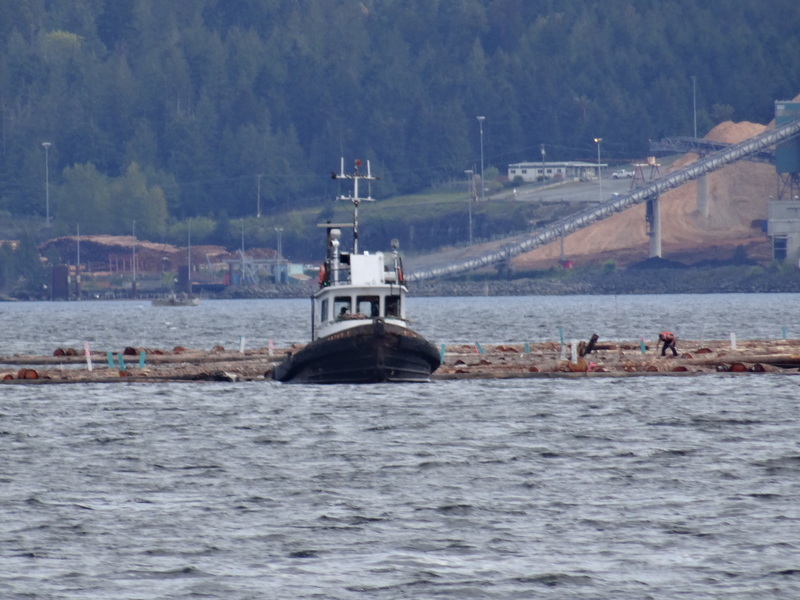 On the coast, tugboats are the work horse of the sea moving log booms, barges full of almost anything and piloting freighters safely through our pristine waters. The B.C. 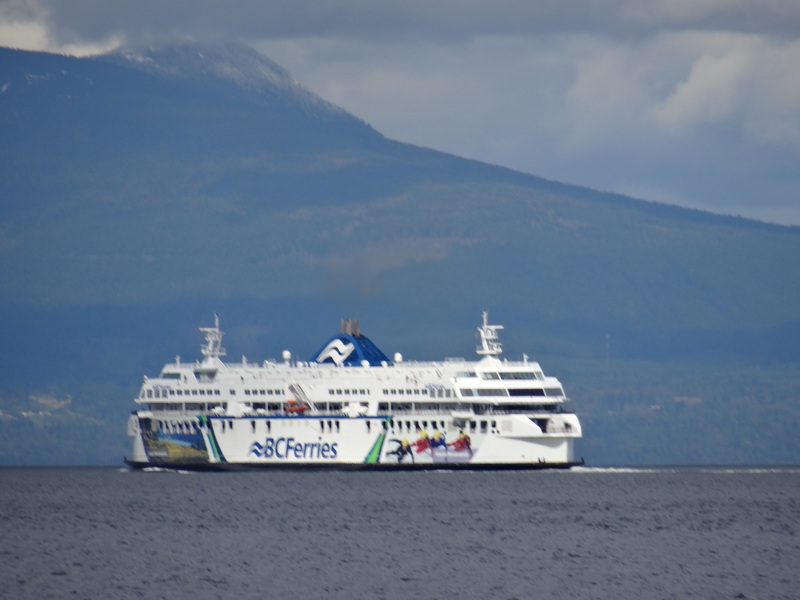 ferries is part of the TransCanada highway system connecting Vancouver Island to mainland Canada. This one is off to the city of Vancouver and takes about two hours to get there. Coastal mountains in the background. 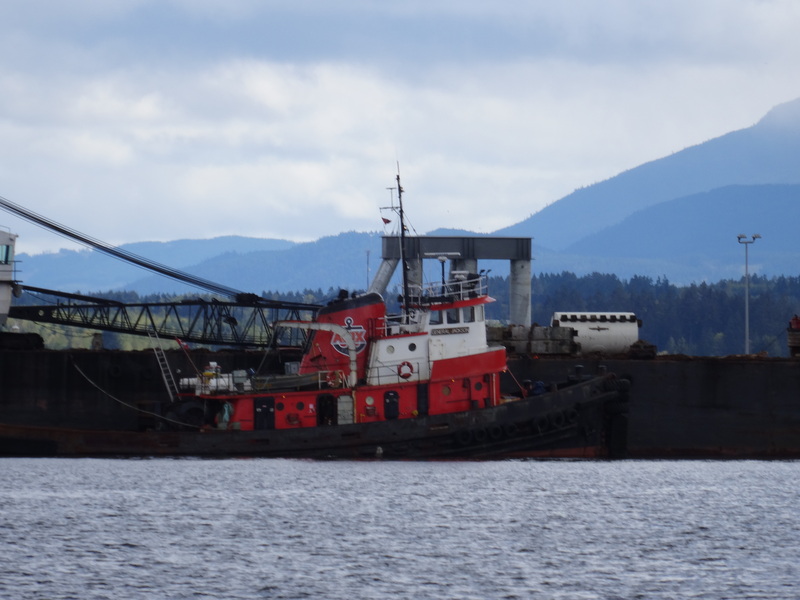 Freighters anchor off Nanaimo waiting to load their holds full of our natural resources like logs, coal, pulp and paper from the port of Vancouver 36 kilometres away. Can you see another B.C. Ferry in the background? 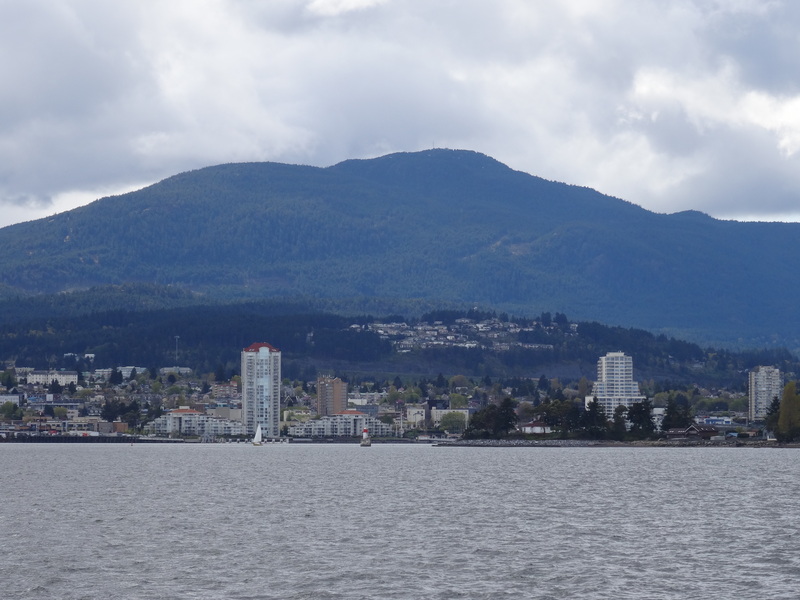 There are two ferry terminals based in Nanaimo that sail to Vancouver. 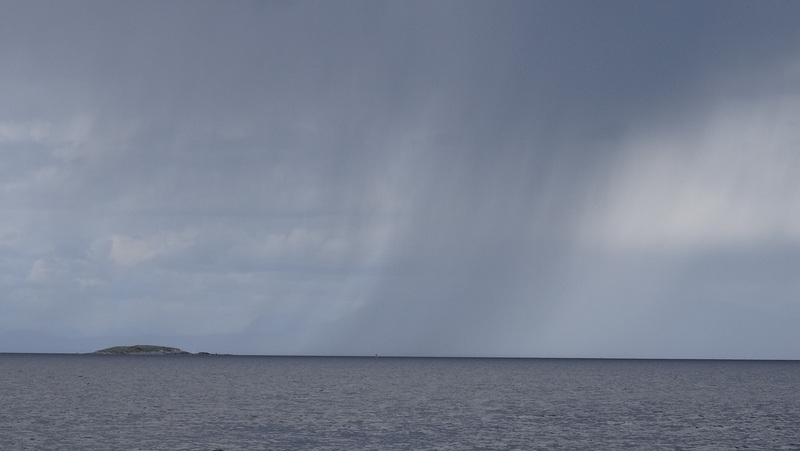 Rain squall off Snake island hiding the coastal mountains of the mainland. 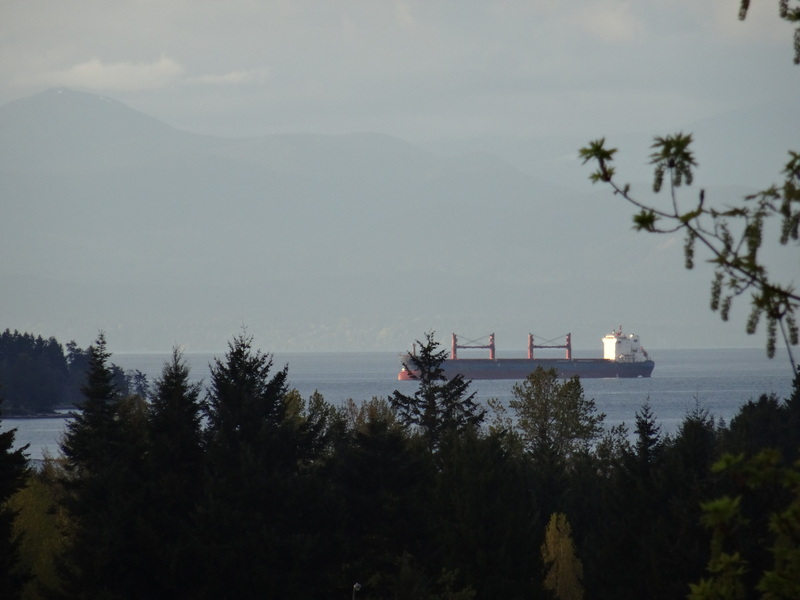 Remember that Freighter off in the distance in the view from dining room window, here a sailboat sails past it and so does our ferry on the way to Gabriola Island. This is my watery neighbourhood. I never tire of venturing out in our harbour to see the coastal lifestyle at it’s best.